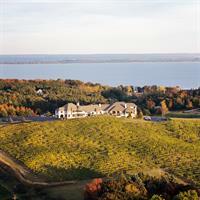 Chateau Chantal is a unique development that combines a winery, vineyards, bed and breakfast, residence, six private home sites, and winding roads, all of which combine to create an experience in "Northern Hospitality.” The 65 acre site sits high atop a ridge 12 miles north of Traverse City, Michigan on the beautiful and historic Old Mission Peninsula. 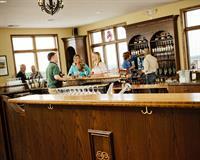 Chateau Chantal crafts many styles of wine, allowing the grape to dictate the style. The location’s unparalleled views and outstanding staff play host to B&B activities, cooking classes, wine education opportunities, Sensory Tours, conferences and meetings, small weddings, and friendly regional wine events.